•GM Europe secures Memorandum Of Understanding (MOU) with Magna International Inc.
Zurich. GM Europe today announced it continues normal operations and it is not included in the court-supervised process of General Motors Corp (NYSE: GM), its U.S. parent, with the commitment for bridge financing from the German government and an MOU to partner with Magna International Inc.
General Motors Europe has secured approval for a 1.5 billion bridge financing agreement with the German government based on the partnership with Magna, which will allow sufficient time to finalize the partnership agreement. With this available financing, the European operations are isolated from any financial impact by GM’s situation in the U.S. Under the agreement, the Opel/Vauxhall group of assets have been pooled under Adam Opel GmbH, with the majority of the shares of Adam Opel GmbH being put into an independent trust (the balance to remain with General Motors), while final negotiations with Magna proceed. The trustee agreement is structured to have no impact on the day-to-day activities of the European operations during the transition period and GM’s current European management team continues to run the operations. It is expected that the process to finalize a new partner will take several weeks to complete, although no firm timeframe has been established. In the U.S., GM Corporation today announced an agreement with the U.S. Treasury and the governments of Canada and Ontario to accelerate its reinvention and create a leaner, stronger “New GM” positioned for a profitable, self-sustaining and competitive future. Under the agreement, GM’s strongest operations and brands around the world will form the New GM, which will be launched with substantially less debt and lower operating costs than GM historically has carried. The New GM will be a global leader in the areas of fuel efficiency and advanced green technologies; quality and reliability; appealing designs; customer service; and, above all, value. The New GM will incorporate the terms of GM’s recent agreements with the United Auto Workers (UAW) and the Canadian Auto Workers (CAW) unions and will be led by GM’s current management team. Under its plan, GM will sell substantially all of its global assets to the New GM. To implement the sale agreement, GM and three domestic subsidiaries have filed voluntary petitions for relief under chapter 11 of the U.S. Bankruptcy Code in the U.S. Bankruptcy Court for the Southern District of New York, and the sale is subject to the approval of the Court. Because GM’s sale of assets to the New GM already has the support of the U.S. Treasury, the UAW and a substantial portion of GM’s unsecured bondholders, GM expects the sale to be approved and consummated expeditiously. None of GM’s operations outside of the U.S. are included in the U.S. court filings or court-supervised process, and these filings have no direct legal impact on GM’s plans and operations outside the U.S. GM confirmed that all business operations are continuing without interruption in its Europe; Latin America, Africa and Middle East; and Asia Pacific regions. In order to provide information for all stakeholders, GM Europe has today launched a dedicated online resource about the U.S. court process and its implications for non-U.S. operations. The site can be accessed at: gmeuropefactsandfiction.com. 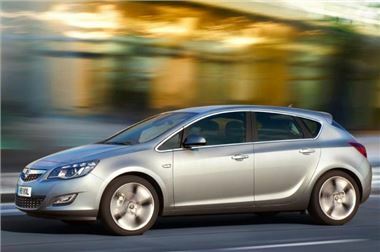 Fiction: Only the German government would have to provide state aid to save Opel/Vauxhall from insolvency in Europe. Fact: GME is working with several European governments to provide support to preserve jobs and investments in their respective countries. Given Germany is the largest single point of employment for GM Europe, the initial discussions have been focused there first. General Motors Corp. (NYSE: GM), one of the world's largest automakers, was founded in 1908, and today manufactures cars and trucks in 34 countries. With its global headquarters in Detroit, GM employs 235,000 people in every major region of the world, and sells and services vehicles in some 140 countries. In 2008, GM sold 8.35 million cars and trucks globally under the following brands: Buick, Cadillac, Chevrolet, GMC, GM Daewoo, Holden, Hummer, Opel, Pontiac, Saab, Saturn, Vauxhall and Wuling. GM's largest national market is the U.S., followed by China, Brazil, the United Kingdom, Canada, Russia and Germany. In Europe, GM sells its vehicles in over 40 markets. It operates 10 vehicle-production and assembly facilities in seven countries and employs about 50,000 people.